When I created the curved template for the legs, I actually bent a thin strip of wood around nails to get a very consistent curve that highly matched the grain of the crotch walnut. 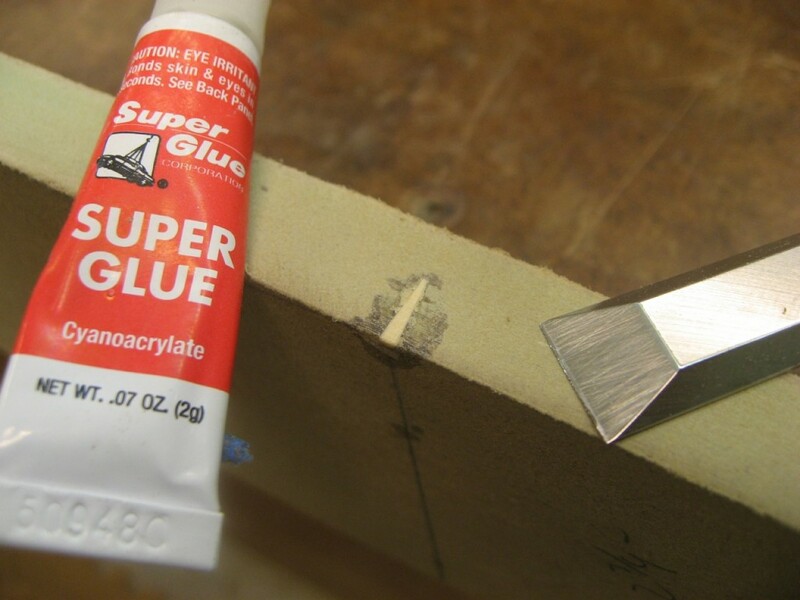 I use this technique all the time, but it can leave nail holes in the template when you cut it out! If I use a router against the template, there will be a small divet when it rides over this hole. I find that the nails I use are just about the same as a standard toothpick. 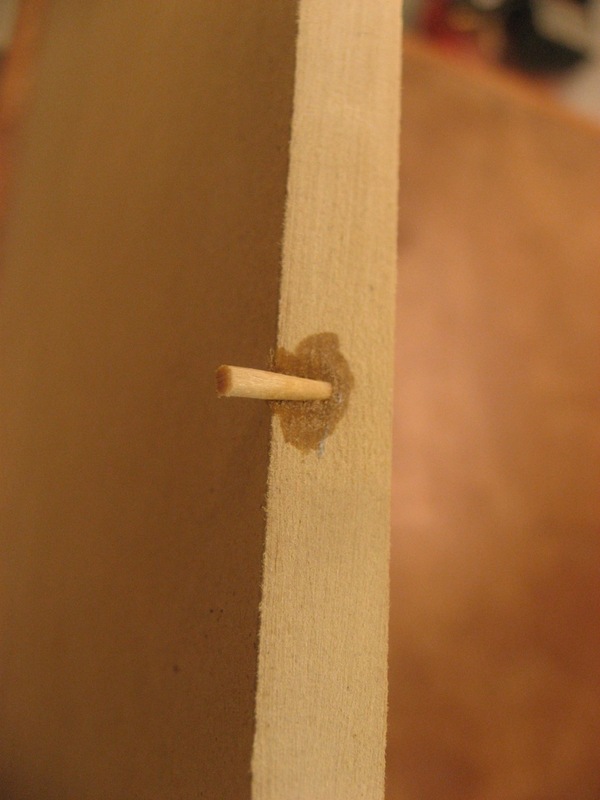 So, I super glue the tip of a toothpick into what”s left of the nail hole once the template is cut out. Five minutes later when the glue is dry, I cut most of the toothpick off with a sharp chisel. Then I use my flexible sanding pad to smooth the whole curve. Easy, fast patch. Now I have a nice re-useable template.